Escape from pressure of traffic jams and pollution, shift to a home with green surrounding and fresh air. Hero Realty residential project Hero Holiday Homes in Haridwar comprises Studio, 1 BHK, 2 BHK, 2 BHK + Deluxe and 3 BHK Apartments that seamlessly blend nature with exciting life. 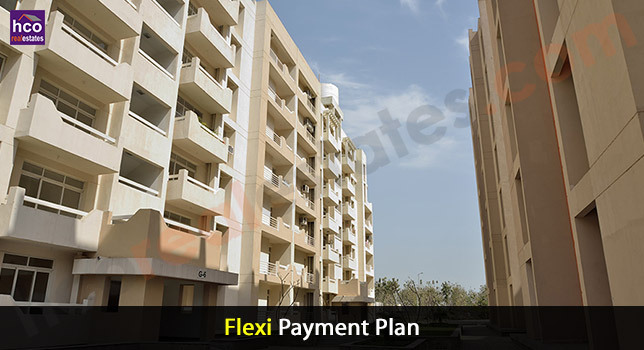 Built with observing in mind all the necessary aspects of modern life, with all promising facilities and services to make your life comfortable, these apartments fulfill all your necessities. And what composes this new housing project really extraordinary is the additional touch of brightness and purity that is instilled into every home with clean, abundant greenery. Make that move to a nature-filled life with Hero Holiday Homes nearby Delhi - Haridwar Road makes its accessible from metro cities, nearby Airport, Railway Station and Bus Stand makes it great to be here, in a land of connectivity, imagination and sovereignty. Flourishing green neighborhood, fresh rejuvenating atmosphere and a sense of tranquility that can only stem from pure environs - there's no superior way to describe the spirit of Haridwar. Here, you get to understanding environment at its top. And Hero Holiday Homes gated community is all set to make that experience even better with uniquely designed open spacious apartments to give you a feeling of being covered in the comforting cover of Nature. So go, unlock your gates and let Mother Nature inside. Holiday Homes is a part of Haridwar Greens which is dotted with School, Community Centre, Nursing Home, Bank/ATM/Post Office, Bus Stop, Shopping & Convenience Stores and blessed with approach, the project offers a grand view coupled with the hottest finishes. So, whether you are a young couple looking to upgrade or retired couple looking for a peaceful place, or a seasoned investor deciding on the next smart investment, Hero Holiday Homes offers you all that you ever imagined.